Key difference: Meat is the general term used for all animal flesh, whereas fish is considered as part of seafood. Meat and fish, both are rich in proteins and moisture content, and are often considered as meat, which can be quite confusing. However, such is not the case. Meat is a generalized term used for all animal flesh. This category consists of flesh from animals such as pigs, cattle, lambs, etc. It generally includes the skeletal muscles, associated fat and other tissues of an animal. Fish, on the other hand, is part of seafood. The word ‘fish’ generally refers to both, the animal and the food prepared from it. This category also includes shellfishes such as molluscs, crustaceans and echinoderms. 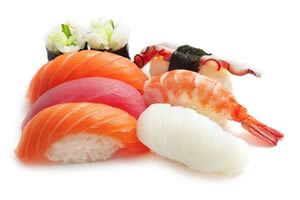 Although it is part of seafood, fish itself is widely consumed as part of a meal or a whole meal. Both meat and fish, along with poultry, are the best sources of iron and protein, which is why they are included in a healthy diet. Both are good reservoirs of nutrients, but fish is a much better option than meat. Though, meat is rich in proteins, it also has a high quantity of fat in it, whereas fish has low fat with a high quantity of proteins. Filled with Omega-3 fatty acids, minerals such as zinc, iodine and potassium, etc. fishes are considered as nature’s most versatile food, as eating fish on a daily basis can help reduce blood pressure, and lower the risk of heart attacks. It also consists of all essential nutrients which keep the brain and heart healthy. 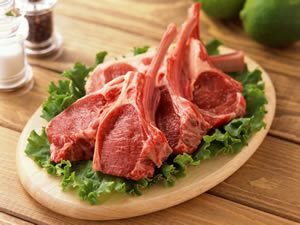 Meat is also a good source of vitamins such as B12, phosphorus, etc. It is advised to be eaten in small or limited quantities, because of the high amount of saturated fatty acids present in the meat. Though, a small amount of meat is preferred, it is highly beneficial for the body as the protein from meat builds and repairs body tissues, and helps in fighting against infections. Also, it is believed that if our ancestors had not eaten red meat, then the human brain would be 1/4th its present size. Based on the high fiber content, meat is considered edible raw, but it's generally processed, cooked and seasoned before eating. Fish, on the other hand, can be eaten raw but needs to be cleaned meticulously before eating. There are varieties of ways in which both meat and fish are prepared and cooked. Fish is easy and quick to cook, whereas meat takes a long time to cook. To enhance the taste even more, the best way to prepare meat is by grilling, stir-frying, boiling and in a pressure cooker. Similarly, fish can be prepared by baking, grilling, broiling, steaming and poaching it nicely. However, before enjoying these dishes, one should make sure that both, meat and fish are fresh, processed and safe to eat. Unprocessed meat is a major reason for concern as it spoils easily, and if not cleaned thoroughly, it can cause infection through the bacteria and fungi present in the meat. The same applies for fish; if not cleaned properly, any parasite, bacteria or organic pollutant present on the surface of the fish, can cause serious infections in the human body. It is a general term used for all animal flesh. It is a part of seafood. It is derived from sheep, cows, pigs, cattle, etc. General salt water fishes are used, which also includes shellfish such as molluscs, crustaceans and echinoderms. It takes more time to cook as compared to fish. It takes less time to cook as compared to meat. It has a high quantity of fat. It has a high quantity of protein. It is eaten as a part of meal. It can be eaten as part of or the whole meal. It is cooked by grilling, stir-frying, boiling and in a pressure cooker. It is cooked by baking, grilling, broiling, steaming and poaching. Steaks, pork sandwiches, meat stew and curries, etc. Sushi, sashimi, pickled herring, smoked dishes, etc. Wrong! The answer is 'Nobody beats their fish!